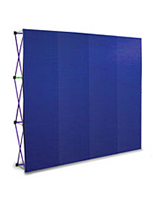 This exhibit display features a 10' straight pop up frame and black hook-and-loop receptive fabric panels. Offering over 70 square feet of advertising space, each convention booth allows exhibitors to display graphics, literature, and samples simply by using hook and loop fasteners. The exhibit display uses a "hook and loop" system to securely hold any combination of accessories yet easily allows for reconfigurations and updates. 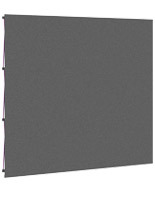 To mount something on this backdrop simply add fasteners to the back of the desired item, and attach to the fabric panels. 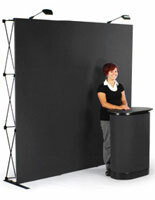 Made especially for use in trade shows, this exhibit display features a portable, easy to use design that sets up in minutes. 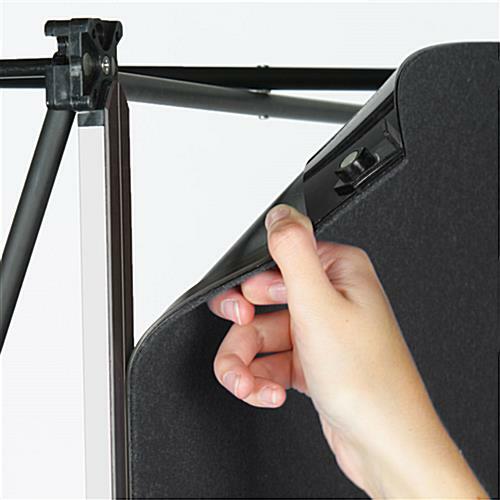 Just raise the lightweight frame from the ground and magnetic connectors will automatically snap the pieces into place. 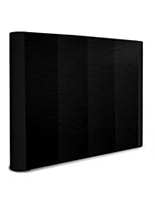 The exhibit display has four fabric panels that attach to magnetic bars along the frame for a seamless look. 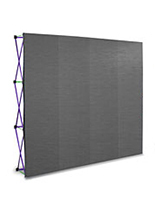 Please note that this display booth does not include fabric end caps; you will be able to see the part of the frame from some angles. 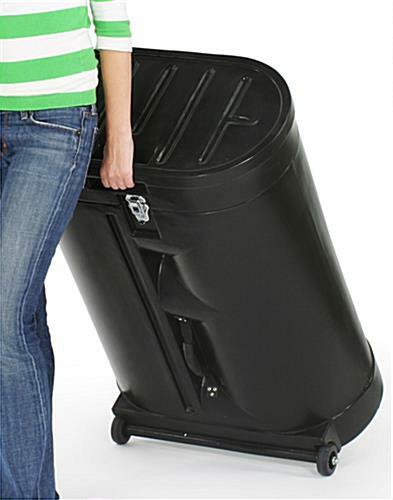 We sell this exhibit display with a molded, hard plastic carrying case that features built-in wheels and safety latches. 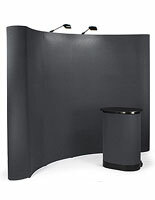 This travel case also coverts into a presentation counter that can be used to enhance your trade show booth. 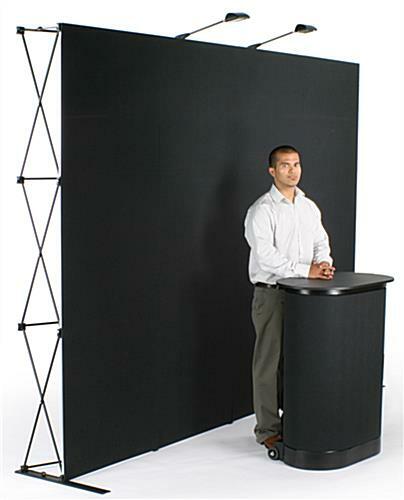 Use this exhibit display to offer informative literature, demonstrate products, and give attendees a comfortable place to approach employees in your booth. 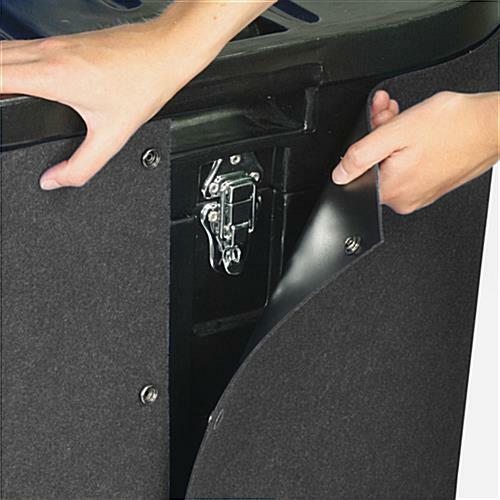 To convert your case into a counter, simply wrap the included fabric panel around the outside of the case, and attach the laminate counter to the top. 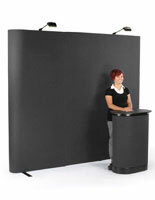 We also sell this exhibit display with two halogen spotlights for extra impact. 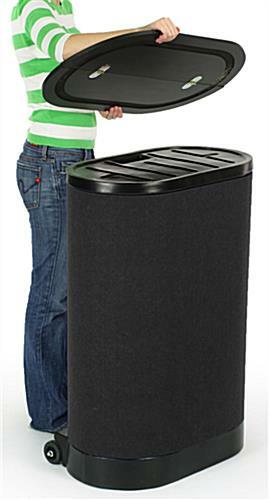 A foam-padded storage compartment in the case keeps the lights safe from damage during transportation. 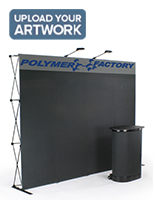 This exhibit display is a cost-effective solution for a first time exhibitor needing to outfit an entire booth. Please Note: Prolonged exposure to high temperatures will cause the fabric panels to degrade and wrinkle. 115.0" x 91.0" x 11.5"
29.0" x 37.5" x 18.0"